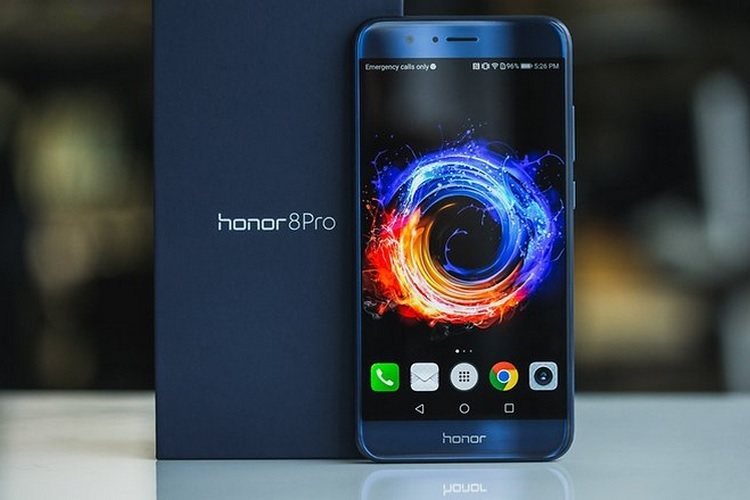 Honor has started seeding Android 8.0 Oreo-based EMUI 8.0 update to the Honor 8 Pro smartphone users in India. This release follows the last week’s release of the update to its users in the UK. Talking about the update, it weighs in at 2.81GB, and it carries the build number DUK-L09 8.0.0.310. It is worth making a note that last EMUI version was 5.1 and the jump to EMUI 8.0 was to sync EMUI updates with Android OS versions. Specifically for the Indian users, the EMUI 8.0 update beings VoLTE support for Vodafone and Jio networks. It also includes Google’s January security patch, even as the February patch is out for update. It is recommended that you download the update over Wi-Fi and backup all of your personal data as well. You also need to make sure that you have 3GB of free space on your device. In case you haven’t received the update yet, you can check for it manually by heading over to settings menu. But since it is an incremental update, it is possible that the update might take a few days to arrive. Now coming to the improvements, the EMUI 8.0 brings some cosmetic changes as well as internal improvements. You can also expect an optimized battery life and new AI features like automatic photo scene detection, automatic UI optimization and more. Lastly, you can also expect the update to bring the standard set of Oreo features such as app shortcuts, Picture-in-Picture mode, etc. That being said, Huawei has also promised the EMUI 8.0 update for other handsets such as the Honor 7X, Honor 8 Lite, Honor 9 Lite, and Honor 9i. 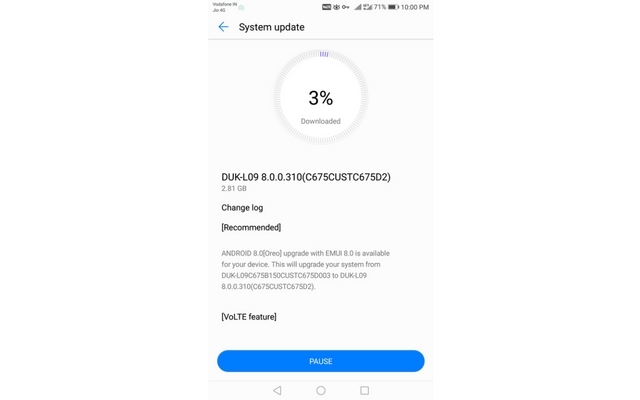 Yesterday Samsung also started seeding the Oreo update for Galaxy S8 in India and it is expected that more devices will see the update in coming months.